Identity is a complex word: it is about roots, about what we call home. About “a specific kind of light“. The “light” mentioned in the very famous book Everything is illuminated by Jonathan Safran Foer. In this story the protagonist Jonathan leaves United States for a journey in search of his own roots, in Ukraine. He is trying to discover his grandfather’s story at the time of the World War II, and of course, in a certain way he is looking for himself inside that story. 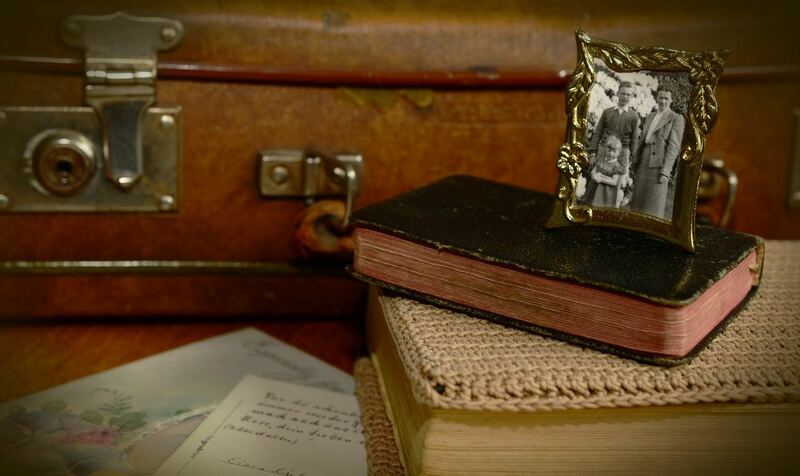 Often at Europass we meet people in the prime of their personal “rigid search”; students who are children and grandchildren of Italian Immigrants, sons of our compatriots who have emigrated in millions to other countries in the past decades. They often come to Italy to discover something about their own story, reconnect with an old relative’s language and culture or simply breathing the atmosphere of this country that, at some level in their genes, is familiar. During the lessons, it happens that they tell us extraordinary stories, about their grandparents, great-grandparents, uncles and aunts: people who were able to build a whole new life on the other side of the world, without forgetting their roots and their sense of belonging to Italy. Focusing and sharing these stories has a big impact on these our friends, and in general on all of us. They feel that they are who they are even thanks to them. Many of those students also decide to learn or deepen the language they heard talking in the family, to be able to hold a conversation with some distant relatives, or simply to take a trip in time. We truly believe that there is a kind of line that overcomes time and space, to connect lives of different members of a family: we do think that all of us receive an inheritance of values and understandings of the world from our ancestors. Who knows if in this path, the atmosphere and the language don’t make something move from the inside: recalling something atavic, towards an ancestral balance and harmony. Like a circle that closes. Given the importance that this research can have on the lives of the people who undertake it, how can we not try, in our small way, to encourage it? We love when it happens to become a reference point for children and grandchildren of Italian Immigrants who are coming to Italy to explore their origins, approaching or deepening the study of Italian. This is why we offer a 10% of discount on our Italian courses in Florence to all those engaged in this research. It’s a pleasure and also a way to feed our hunger for good stories. To get the discount it’s necessary for us to document a little about your provenance, giving some elements about the story of your Italian emigrated relatives (photos are very welcome!). We would like to collect them in our blog and social networks, so as not to disperse them, to give new life.